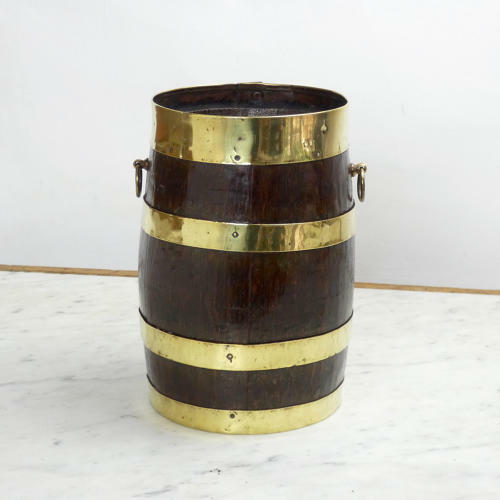 A good quality, small, brass bound barrel dating from c.1840. This piece is made from narrow strips of oak. The brass bands are riveted in place with small copper rivets and there are small, brass, loop handles to either side. The overall effect is very attractive and this is a particularly small example. With a suitable liner it would make a really nice wine cooler.